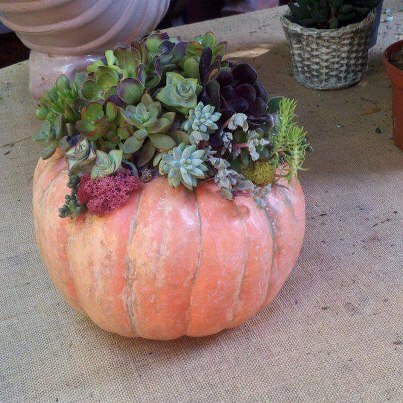 Looking for something succulent to do this Friday and Saturday October 25-26, 2013? Join me at a Fall Garden Party at Waterwise Botanicals in Escondido, CA. This two day event features Debra Lee Baldwin, garden photojournalist and author. As Debra introduces some of her favorite easy-care succulents for Southern CA gardens, she explains how to beautifully combine them in landscapes, gardens and containers. Based on her new book, Succulents Simplified, this fun and informative presentation celebrates the shapes, colors and textures of succulents, and gives tips for keeping them fat and sassy. Come be reassured, entertained and inspired! Book signing follows. Next on the schedule is a Holiday Succulent Centerpiece Workshop. 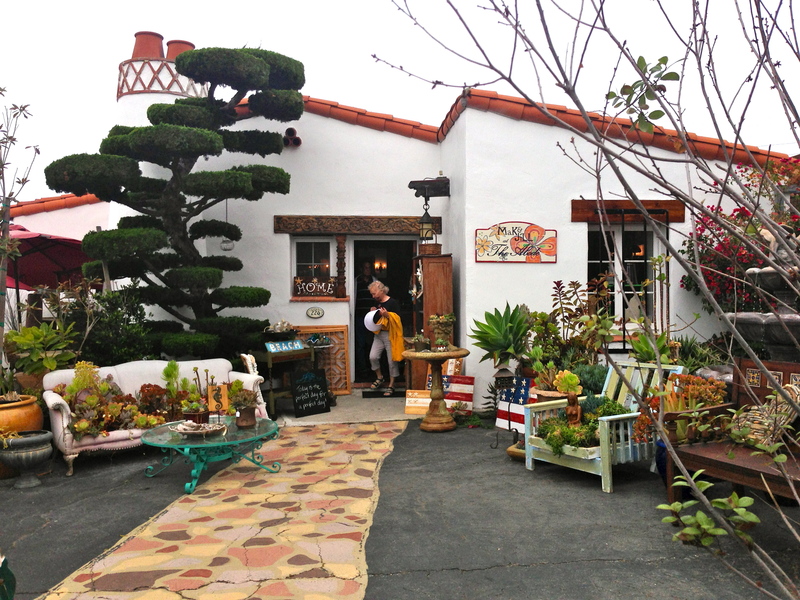 Lois Walag, owner of Succulent Salon is “Obsessed” with succulents! She’ll teach you how to make a living centerpiece that will bring you years of perennial joy! Registration fee: $45. Price includes all material to construct a 10″ diameter centerpiece. Pruners are suggested and will be available for purchase. Limited Space. Students must register in advance via PayPal on Lois’ website at www.succulentsalon.com. Saturday morning features Rebecca Sweet, author, designer, and book launch of her newest, Refresh Your Garden Design – Simple Strategies to Wake a Weary Garden. With all of the buzzwords and trends in gardening these days, how do you know where to begin? Rebecca takes a fresh approach to explain, simplify and reinterpret traditional design concepts for home gardeners of all levels. Both practical and inspirational, you will learn how to identify what has gone wrong with your garden and, more importantly, how to fix the problem. Book signing follows. We are looking forward to the entire weekend and expanding our love and knowledge of succulents. Hope to see you there! Make sure to RSVP. This event is free! One of my new favorite places in town is a store called Mak & Jill at the Abode. Formerly Humble Abode, it’s located in a charming Spanish cottage right in the heart of downtown San Clemente. Each room is filled with unique finds, ocean-inspired art, antiques and painted furniture. The backyard is a succulent-lovers paradise with chalk-painted beach chairs, arranged containers, and nautical accents. The two owners, Mak and Jill, have been friends since childhood, and merged their creative take on interior design and love for everything re-purposed. The place has been transforming week by week into a haven for beach-goers and shoppers looking for items that are unique and non-traditional. They are also stockists of Annie Sloan Chalk Paint and offer workshops in furniture painting. With reasonable prices and tons of inventory, we are wishing them tons of success this summer. If you are planning on coming to San Clemente, this is a great stop. With plenty of restaurants, boutiques, farmers market (Sunday 9am – 1pm) and art show the first Sunday of the month, you can get a lot of beach fun packed in to a few hours. Congrats to our friends at Hobie and Tuvalu for the beach bungalow win! Love their San Clemente beach style. 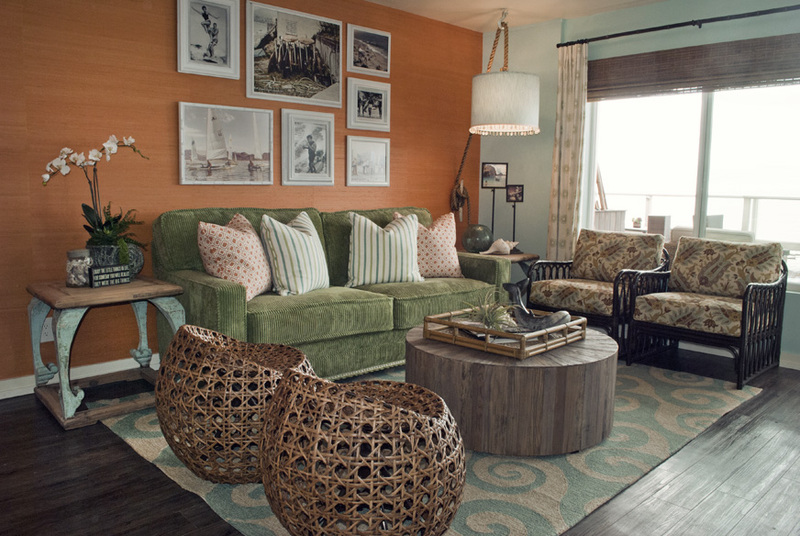 The Hobie and Tuvalu bungalow is voted the favorite! All of the invited guests voted between the five bungalows designed by Billabong, Fox Head Inc., The Sleepy Hollow Group, gorjana & griffin and, yours truly, Hobie and Tuvalu. We absolutely loved how our bungalow came out and are very pleased that Pacific Edge Hotel’s guests get to enjoy it! We owe it all to our designers Laurie Alter and Wendy Grand Pre who did an amazing job reviving the bungalow and giving it new life! If you haven’t had a chance to see our bungalow project, you can see more here! Also check out some features from around the web on the bungalows! Click on any of the pictures below to read more! Happy Friday! 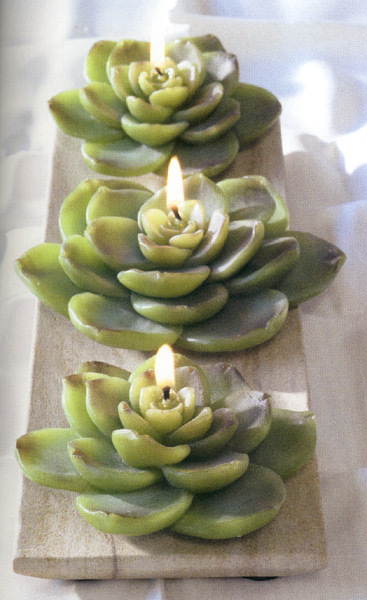 Candace sent me this link to some awesome succulent candles at one of my favorite stores, Tuvalu in Laguna Beach. Only $6 each, they would make a great accent for a dinner party placesetting. Also says you can float them in water. When you visit Tuvalu, make sure to check out Candace’s Neckcandy jewelry creations! I saw this Pumpkin Pot in the Los Rios District of San Juan Capistrano. I had to take a close look because the pot looked just like a pumpkin…and it was – a real one! This would make such a fun Thanksgiving centerpiece. When the pumpkin starts to soften too much you could just repot the whole thing in a new container. Great idea! Charcuterie – Fancy Name, Easy Appetizer! A Couple Cooks – Fattoush Nourish Bowl! Charcuterie - Fancy Name, Easy Appetizer! Domesticity is total child's play. Spare time - making more of it and making the most of it!